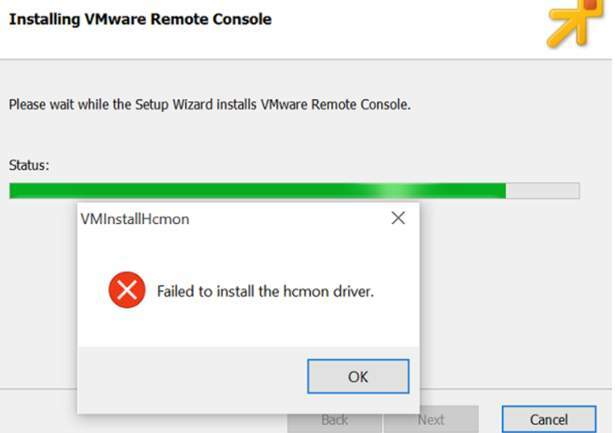 If you get error “Failed to install the hcmon driver” during installing the VMware products (vSphere, Remote Console, etc. ), don’t worry. You can fix the problem with one of the solutions in this article. What is the HCMON driver? 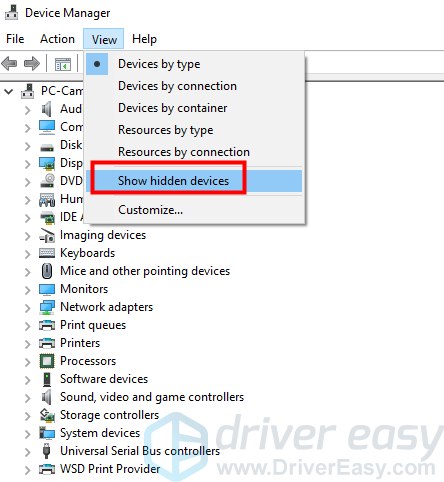 HCMON driver is a virtual USB driver. It allows your physical USB ports to connect to the virtual machines. The error occurs can be due to different issues. We post the top 5 solutions in this article. You can fix this error with one of these solutions. You may not have to try them all. Just work your way down until you find the one that works for you. 1) Right-click on the downloaded setup file. 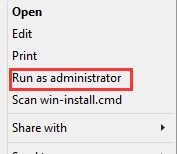 2) Click Run as administrator. 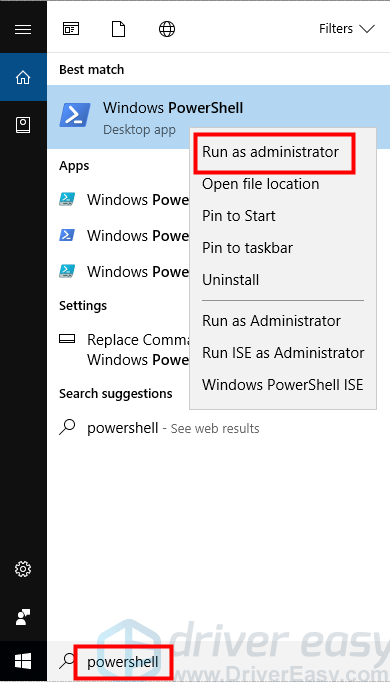 If you don’t see the option “Run as administrator”, this solution doesn’t apply to you. Skip then move on to other solutions. Corrupted drivers especially graphics drivers can cause this error. 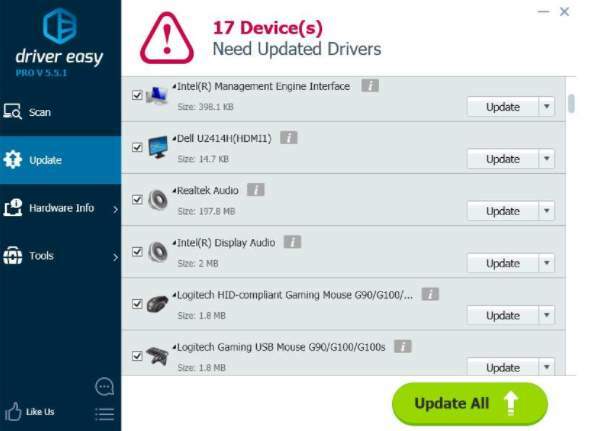 To fix the problem, try to update the drivers. 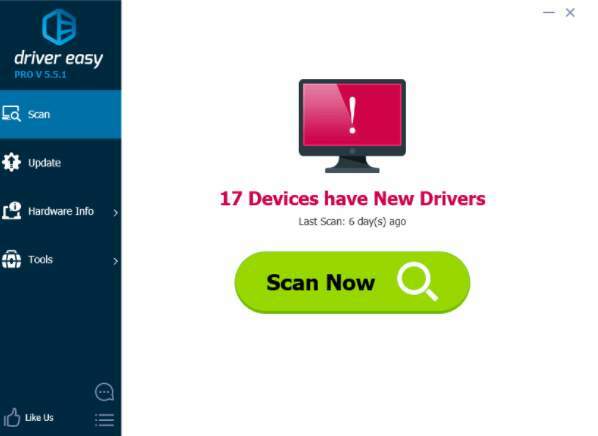 3) Click the Update button next to the flagged drivers to automatically download and install the correct version of their driver (you can do this with the FREE version). Or click Update All to automatically download and install the correct version of all the drivers that are missing or out of date on your system (this requires the Pro version – you’ll be prompted to upgrade when you click Update All). 2) Click View > Show hidden devices. 3) Double-click Non-Plug and Play Drivers. 4) Right-click hcmon and click Uninstall. 6) Delete the C:\Windows\system32\drivers\hcmon.sys file. 1) Type “powershell” in the search field. Right-click Windows PowerShell (The name may be different depending on the Windows version you’re using.) and click Run as administrator. 2) Go to the location where you saved the setup file. This is to get the msi name. 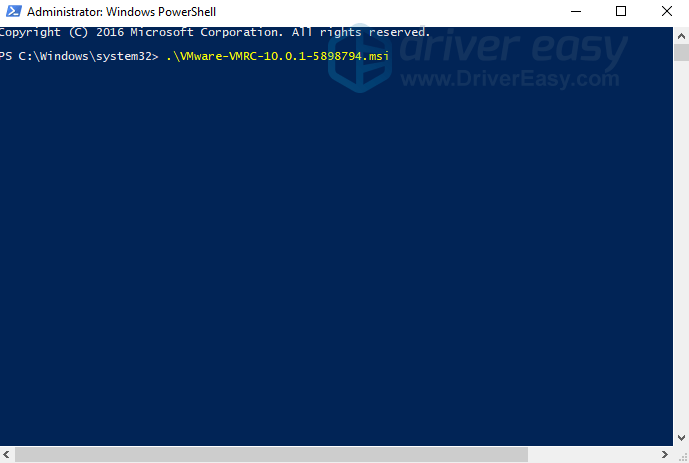 3) Type .\xxxx.msi in PowerShell command prompt and press Enter on your keyboard. XXXX means the name of msi file. Replace it with your msi file name. To install the product successfully, ensure your computer has installed .NET Framework 3.5.1. If not, install it. Click here to go to the download page of Microsoft to download .NET Framework 3.5.1. Then install it on your computer.